Surfing, the original and purest of all board sports but yet one of the hardest to master. Surfing has humbled some of the greatest snowboarders, who quickly realise their abilities to kill it on the snow, doesn’t translate to water. Whilst a lot of riders surf in the off-season, few have mastered it to a high level. Below we take a look at some of the few riders that can shred on snow and in the water. One of the original founders of the Asthetiker; Steve Gruber has had a long snowboarding career and still remains one of the most respected pros out there. From his multiple video parts with Absinthe, JD Productions and Yeah productions, to his contest days, where he came 2nd at the Arctic Challenge quarter pipe, Vice World Pipe champion amongst many other results. When Steve isn’t shredding on his snowboard, his mind is on the ocean and you can often find Steve travelling to far sprung locations to find the best waves. Gruber is also a frequent visitor to the Zillertal Valley’s top-secret standing wave, battling sub zero temperatures to get his fix. Steve is not only an outstanding snowboarder and surfer; he is also an impressive skater, much to the annoyance of people that struggle to perfect one of the 3 sports. 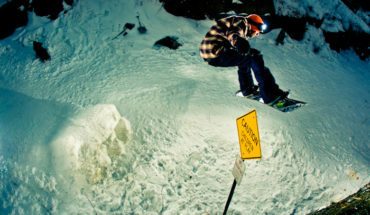 Chilean, Manuel Diaz, made Steven Pass his winter home before being whisked away to Alaska to film multiple video parts with Absinthe Films, alongside his friend and team manager Gigi Rüf. When Manuel isn’t searching for pow, he is out on his surfboard and at a high level too. Check out this edit below to see Manuel Diaz getting pitted. NAHUAL from BUFALOPROD on Vimeo. David Carrier Porcheron, more commonly known as DCP built his carrier on charging the Whistler backcountry and amassing a multitude of video parts during the process. During his 14-year reign riding for Burton, DCP was awarded with a few signature models on the now defunct Uninc. Several of DCP’s pro models and perhaps his most recognisable featured surfing inspired graphics, showing that surfing was never far from his thoughts. Today, DCP is one of the co founders of Yes Snowboards and the crew always make sure to hold their sales meetings in the best surf spots around the globe. 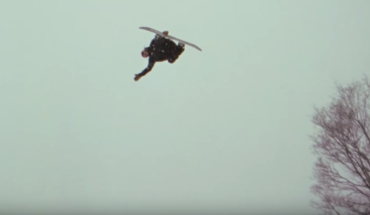 18 year old Brock is part a new crop of riders that has shook up the Slopestyle contests with his ability to throw some of the most technical tricks but at the same time keep an abundance of style. Most riders would be content with standing out on the snow but not Brock as he is also a member of the US Surfing Team. Brock has been competing in surfing since he was 14 and no doubt annoying the other competitors that just focus on one board sport. If that hasn’t made you jealous enough, Crouch is also sick on a skateboard too. Brock unfortunately was involved in a near death experience this season as he was caught up in an avalanche in Whistler. We hope that Brock is back to doing what he does best ASAP. Terje doesn’t need much on an introduction other than to say he’s one of the most influential and respected riders of all time and still killing it today, which he proved by winning this seasons Banked Air In Iscgl with both the fastest time and most airtime. Terje spends an equal amount of time in the water as he does on snow. The iconic, autobiographic movie Subjekt Haakonsen was one of the first movies to capture Terje surfing, a trend, which has been continued throughout his career. Whilst writing this article it quickly became apparent that not only can these mentioned riders obviously snowboard and surf really well, they almost all good skaters too, a real life all terrain vehicle. Other riders that are good enough to make this article include; Wolle Nyvelt, Lyon Farrel, Judd Henkes and more.